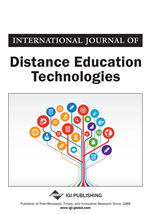 This paper describes the design and development process of adapting computer mediated learning from a residential course to a World Wide Web-based course offered in the distance master’s degree program in Instructional Systems Technology at a large Midwestern university. A description of the Web-based course, findings regarding the adaptation process, the major changes in course components, student reactions to the Web-based course features, and its implications for designing and developing Web-based courses are discussed. Through examining the instructional design and development process of this graduate course, the researcher provides useful references for instructors who need to teach a Web-based course in the future.